After having launched your business website with much fanfare, you would anticipate the website and your brand to be visible prominently on Google Search Engine Results Pages (SERPs). After all, having built your virtual storefront tastefully with intuitive navigation, concise layouts and appealing graphics, you’d certainly want it to be seen when your target audience is searching for contextual queries in the Google Search Bar. However, days after days if there’s no sign of it showing up on the SERPs then you are sure to have burning questions about the website’s Search Engine Optimization (SEO). While there may be over 200 individual SEO factors that Google considers for ranking a website, here are the likely reasons that are impacting your website’s standing on SERPs. There are over 3 billion searches done on Google every day…Which ones are you trying to attract? Unless you have spent reasonable amount of time and effort to identify which search queries or Keywords you want to target for your niche, you’ll be firing in the dark. An elaborate keyword research exercise that yields a qualified list of highly specific keywords should be the first step towards a Google Ranking Goal. By qualified, I mean long tailed keywords containing a few words rather than open ended, general terms. For e.g. “Air Conditioning Contractor in Singapore” would be a much focused long-tailed keyword rather than “Air Condition”. The later will not only be hard to rank for, but also attract a broad-spectrum of the searchers many of which may not be searching with a commercial intent. Research the keywords you wish to aim for bearing in mind the volume of searches performed for those keywords, to be sure that there’s sizeable amount of people out there who are searching with these terms. The Google Adwords Keyword Planner is a good tool to carry out this research. If you realize that you didn’t have a sound keyword strategy to begin with, then you’d probably have to go back and relook at this key step. You certainly need Content to buttress those keywords that you wish to be visible for. And by Content we mean Remarkable Content – original, well-written, quality Content that adds value to the reader. While there’s ample of content on the internet but only few of it is “Remarkable”. Remember that Content with substance that is well presented will make your website stand apart from the dozens of others and will also be rewarded by search engines with higher rankings. Shallow, duplicate content that doesn’t add any value to the reader is unlikely to make it to the top of SERPs. If you find that your website pages do not contain these elements then essentially its making it difficult for Search Engines to understand and appreciate what your site content is trying to convey. So far we have looked into the Content and its alignment to the keywords being targeted. This constitutes the On-Page Optimization portion of the SEO. You may have the most dazzling website on the web but if you didn’t socialize it within the online community, then it may soon face obscurity. Just like “no man is an island”, websites cannot thrive in seclusion. Your website should get linked from other sites and also link to other sites. The former, more commonly known as Back Links is more critical to ranking success. As you’d imagine, getting quality links from authority sites is not easy. It requires time and effort to reach out, and convince other website owners to link to your content. Ongoing efforts are needed to gradually build the website’s inbound Link profile. But this can deliver long term and noticeable benefits for your Google Ranking endeavour. It’s also a good idea to link out from your website, especially to commendable sites which have reference worthy content on them. This may however take traffic away from your website, so should be implemented moderately. Online Community outreach and building good quality inbound links to your site is a must, especially if you are aiming for competitive keywords to rank for. Few years ago building links, no matter from where and how, could get your site to show up on SERPs. 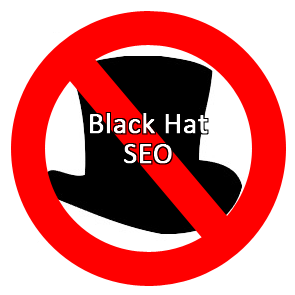 SEO agencies resorted to black hat techniques such as Link farming, Cloaking Links, Keyword Stuffing, etc to bring organic rankings on Search Engines. However, ranking Algorithms are getting smarter day by day and have helped in cleaning up low quality sites from the search engine indexes. Notable among these were the Google Panda Update (initiated in 2011) and Penguin Update (implemented since 2012) which cracked down and de-valued websites that had gained rankings through illegitimate means. So, make sure your web developer or SEO agency hasn’t used such tactics. SEO is a slow and long drawn process and anyone promising to bring you on page 1 in a few days should be viewed with suspicion. Don’t let your site get stale. Google loves websites with fresh Content and rewards them for continually improving their content, growing the amount of relevant and resourceful web pages. If you want your search engine rankings to improve then build your site’s footprint over time. Add tools, resources, and informative stuff that help visitors educate themselves and understand their options. You may support your primary webpages with supporting content added on an ongoing basis. This happen in the form of a Business Blog where you can publish on a wide range of topics pertaining to your product or service. There are many other factors that come into play for getting ranked on Google. Factors such as having a responsive website that’s mobile friendly; faster loading times of the web pages, etc can provide lift to your search engine rankings. While others, like enabling a HTTPS protocol for your domain are good to have SEO features. SEO ranking factors are also constantly tweaked and improved upon on an on-going basis by Google to make their SERPs more and more relevant to the searcher. 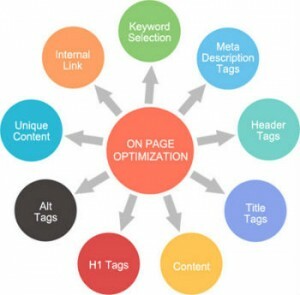 Though SEO seems to be an ever evolving game, the core principles remain. Lastly, if your website is new don’t expect it to conquer 1st page overnight. It takes weeks and even months (given that all things are done right!) depending on the niche you are in and the competitiveness of the targeted keywords. Azhar is the founder of WebSell Solutions Ptd Ltd. which specializes in Online Marketing, Websites & Analytics. He's passionate about content based marketing using Search & Social Media channels that empowers businesses with visibility on the internet. He has a background in IT with over 15 years in architecting systems, project management and application development. Want to amplify your Content Marketing? make sure you COPE! We are a Singapore based agency providing online marketing and web design services to SMEs and small businesses. 150 Changi Road, #04-07 Guthrie Building, Singapore 419973. © Copyright 2019 WebSell Solutions Pte Ltd. All rights reserved.